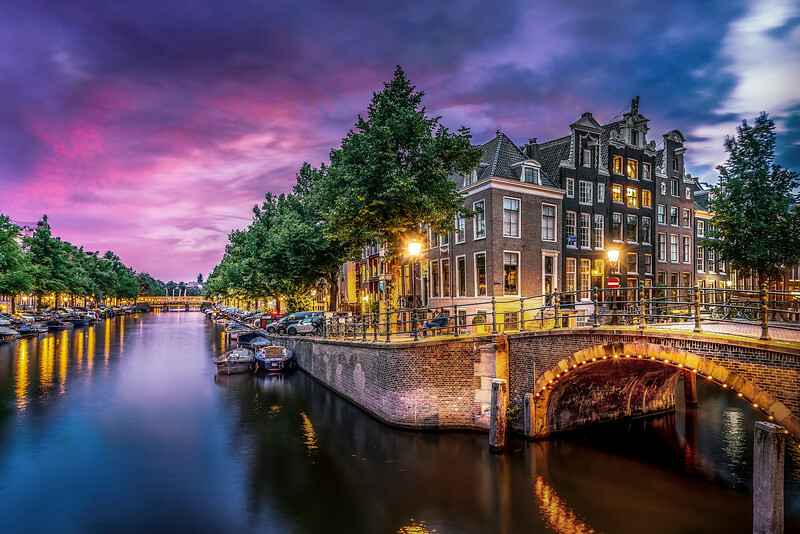 My first day in Amsterdam and I get a hot tip to head over to the area around Rembrandt Square for some sunset shots of the beautiful canals. Off I went with gear in hand, rushing to catch a few good shots. Arriving at 7:30 pm, I quickly realized that the sun was high overhead and I may have been a bit early. Here's the shot I took at 10:30. I won't go into details about the dissatisfaction I dealt with from the rest of the group regarding my poor timing. A big part of photography is the art of patience, I told them.